40mm stainless steel case, polished bezel, white dial, clear sapphire crystal, and Oyster bracelet. Water resistant to 100 meters and resistant to magnetic flux density of 1,000 gauss. 40mm stainless steel case, polished bezel, blue dial, green sapphire crystal, and Oyster bracelet. Water resistant to 100 meters and resistant to magnetic flux density of 1,000 gauss. 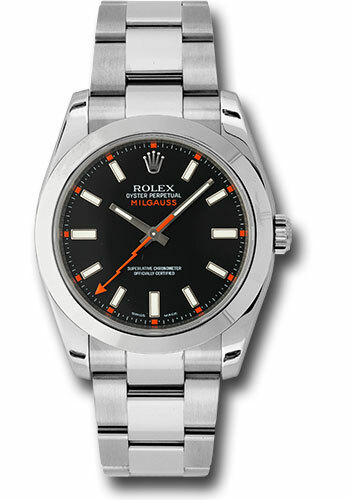 40mm stainless steel case, polished bezel, black dial, green sapphire crystal, and Oyster bracelet. Water resistant to 100 meters and resistant to magnetic flux density of 1,000 gauss.